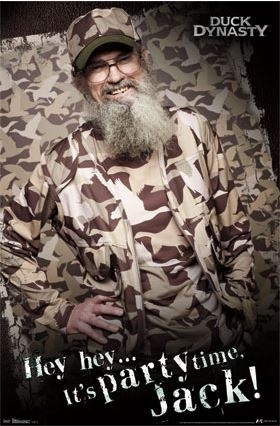 Who knew that a show about ducks, men, and beards could be so popular? Guess that's modern television. 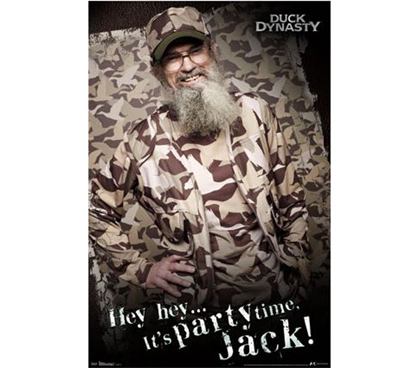 This Duck Dynasty - Si Poster will be a great college supply for any college student who's looking to show his or her support for the show! Your college decor should help that dorm room look less bland while also displaying your interests. Cheap dorm posters are must have college supplies, since they're not expensive and bring needed dorm decor, even if, in this case, they're mostly camo. Plus a funny poster like this college supply is sure to conjure up a few laughs and be a conversation piece too. All in all, posters are college essentials that are useful in more ways than one when you think about it.